Spoken English tutors demand is increasing day by day but experienced spoken English tutors you may count on fingers. Most up house wives are unable to take spoken English class due to distance or some other reason, prefer spoken English tutors and call him/her of her home. Some time they make a group and take group tuition of their home. Spoken English tutors should be experienced because his/her students are matured in study as well as in behaviour. Calling a spoken English tutors may be little bit expansive but it is very much effective because you may learn freely and ask any thing without hesitation. You are learning in your own group so you are face to ask. Spoken English tutors are to teach very effectively and according to students demands. In India English learners want to learn by translation method so a spoken English tutors has to adopt the method which is easy and practical for learners. An experienced spoken English tutors teach the students according to their knowledge depth so they may learn English language effectively. As well as we are growing our communicative approach should be good so we can exchange our views according. Spoken English Coach play very important role about it. It we are good in technical side but poor in communication then we have to face problems So good communication is back bone of any carrier. Spoken English coaching can train for improving your may step up in your carrier. Spoken English coaches should be experienced and well trained. So he can train you effectively. English teaching is not easy because a spoken English Coach has to make understand the system of English language So an innocent learner learn the English language easily and may apply in his communication. Some spoken English coaches teach Noun, Pronoun, Verb, Adverb, Tense etc. only but they do not focus on practical approach of Spoken English. Spoken English Coach can arrange Some group discussion, Some small debates on small and friendly topics. Spoken English Coaches also give some games which may enrich the vocabulary which will help the learner in his/her daily life. 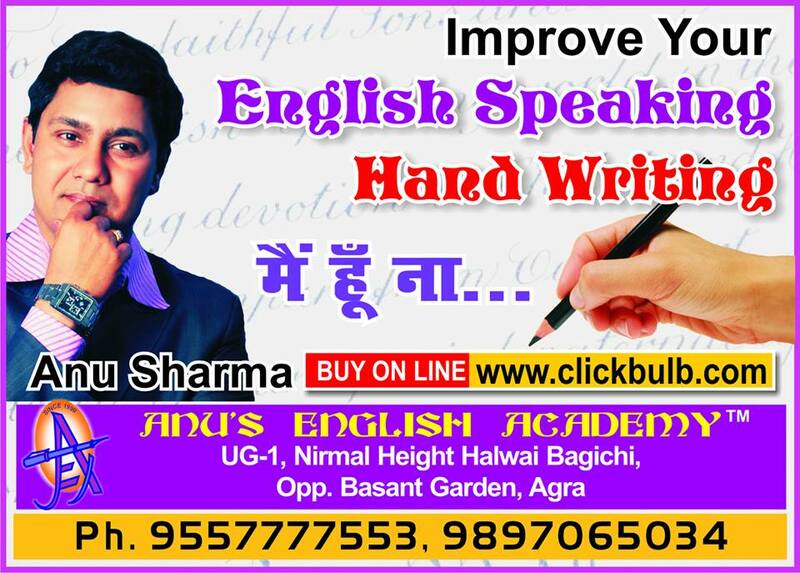 The demands up spoken English Coaches are growing day by day specially in the two cities like Agra, Mathura, Kanpur, Lucknow etc.